Last Thursday Klaus Siebelhoff passed away at the age of 82 after a brief illness. Klaus Siebelhoff was a teacher at the Social Science Faculty from 1993 to 2004 for institutional and legal bases for Social Science. At the same time, he was mayor from 1993 to 2004 of the town of Friedensau. 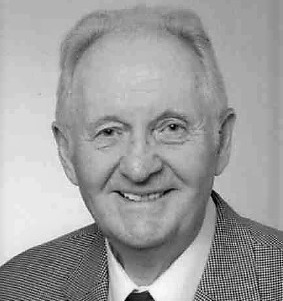 Before he studied theology at the preaching and Pastor Seminar Marienhöhe from 1967 to 1969 Klaus Siebelhoff was Administrative Staff in North Rhine Westfalia. After a short period of service, he returned to public service. In 1974 Klaus Siebelhoff taught at the Badische Gemeindeverwaltungsschule „Civil and Administration Education“, before he was elected the Mayor of Marne in 1977. 1993 he followed a calling to Friedensau Adventist University and taught at the newly opened Faculty of Social Science “Social and Administration Laws” up to 2004. In his fathery nature he was a beloved contact throughout the whole student body. As mayor he was involved in the municipal district reform, represented interests of the towns as Chairman, was 5 years Chairman of the water community „Im Burger Land“ and improved the infrastructure by building a modern fire department device house, the connection to the local sewage system and the development of the camping grounds. We are looking back with gratitude and thank Klaus Siebelhoff for his work for Friedensau and the University. He will remain in our memories.